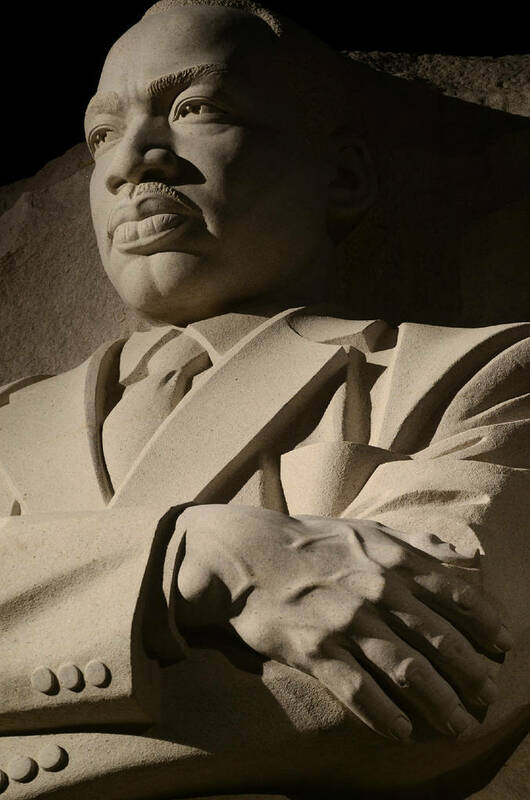 Dr. Martin Luther King, Jr. Memorial in Washington, D.C.
Every year in January, on the Sunday evening before the holiday in his memory, the Compline Service in Seattle is dedicated to the Rev. Martin Luther King, Jr. There is always an increase in the number of attendees, as is typical for any Sunday before a holiday. I’ll describe several pieces of music we sing for that service, and then focus on the Compline Choir from Pittsburgh, one of the more than 50 choirs praying Compline across North America. Lending radiance to them that endure in the heat of the conflict. Wherein they rejoice with gladness evermore. Alleluia! I’ve been telling the story of groups praying the Office of Compline, and next is the Pittsburgh Compline Choir, formed in 1988. John W. Becker, the group’s founding director, related to me the story of how the group got started. He had made a trip to Seattle (possibly an American Guild of Organists event), where he had attended the Compline service; on his return to Pittsburgh, a group of students from the University of Pittsburgh had gathered at his home, and, hearing his description of Compline, expressed a great interest in learning about chant and praying the office. John’s wife, The Rev. Ruth Bosch Becker, was Lutheran Campus Pastor at the University, and “was instrumental in helping the new Pittsburgh Choir find sponsorship in Lutheran Campus Ministry and hence access to Heinz Memorial Chapel at the University of Pittsburgh for the Sunday Evening Services.” John also got “encouragment and sage advice” from Carl Crosier from the Compline Choir in Honolulu. After John retired from the choir, the group was directed for about five years by Stephen Schall, then by Andrew Scanlon from 2005-2009. The current conductor is Alastair Stout, and the choir has been sponsored the last several years by First Lutheran Church. Since he became director, Alastair has introduced several collaborations with other musical organizations. The first was to invite members of the Pittsburgh Symphony Orchestra to play the prelude music before the service, as well as improvise between verses of the psalms. The second was in working with composition students from Duquesne University to write new music for the choir, holding public workshops on the pieces and assisting the students in writing for the particular type of service, as well as the choir and resonant acoustics of Heinz Chapel. Don’t miss visiting the Pittsburgh Compline Choir‘s fine website; there’s also a must-see video on the choir on the home page. And visit their blog, written by choir member Tim Mobley, which gives insight into some of the music the choir sings each week. Also, a good introduction to the service was written by Paul Kent Oakley in his blog Night Prayers (May 2010). It includes links to some of the videos of the choir from September 14, 2008.